Victory Monster Trophies. For the "Monster" in your group or organization. 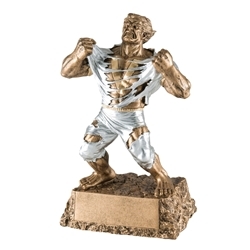 This unique award is perfect for any achievement or victory. Now available in two sizes: 6.75" and 9". Item Size 6.75" or 9"